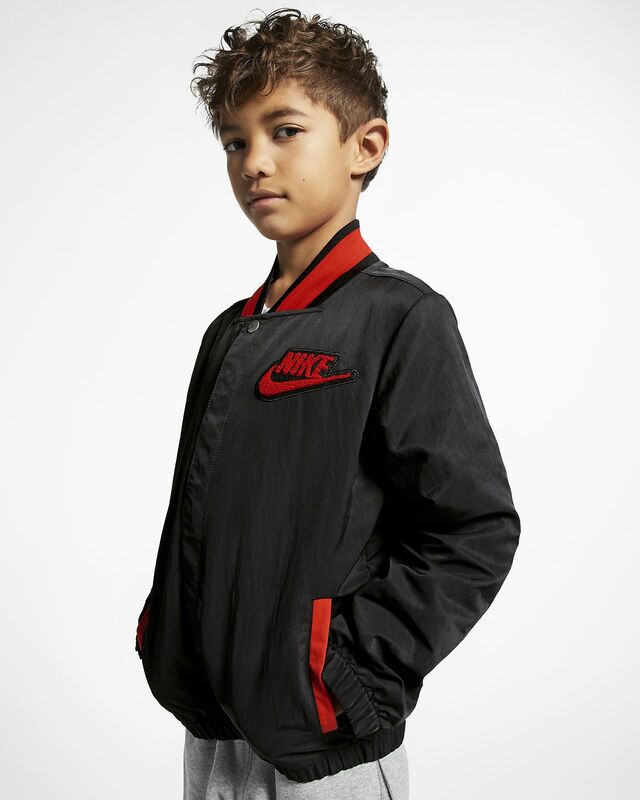 Snap the Nike Sportswear "Hoopfly" Jacket closed for varsity-inspired style. Open it up to give the world a peek at your wild side. However you choose to wear it, this lightweight layer gives you comfortable coverage. Medium-weight nylon fabric offers lightweight coverage. Lined with a bold print on mesh fabric. Nike logo patch is fuzzy and soft. Fabric: Body: 100% nylon. Pocket bags/lining:100% polyester. Have your say. Be the first to review the Nike Sportswear "Hoopfly".